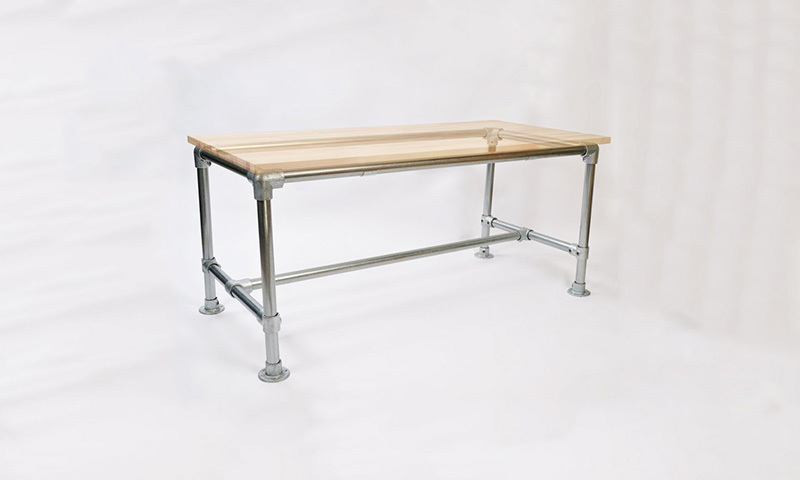 Our kits allow you to turn just about any table top into the perfect desk or table. 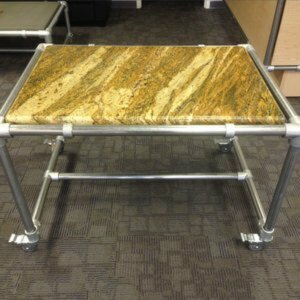 Use our frames to support a table top made of wood, granite, steel, glass, you name it. 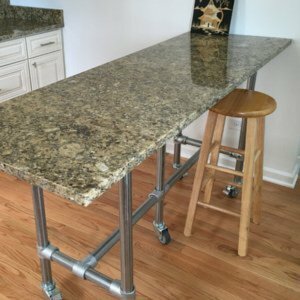 Specify the size of your table top and the height of the frame and we will send you the parts you need to build an industrial looking pipe frame that will work with any kind of table top material. 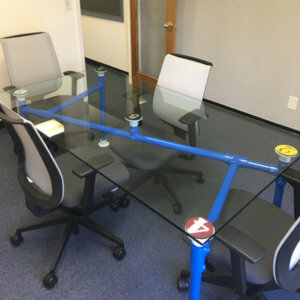 You supply the table top, we supply the industrial pipe base, and together you have a unique piece of furniture that will provide you with a custom, ergonomic fit. 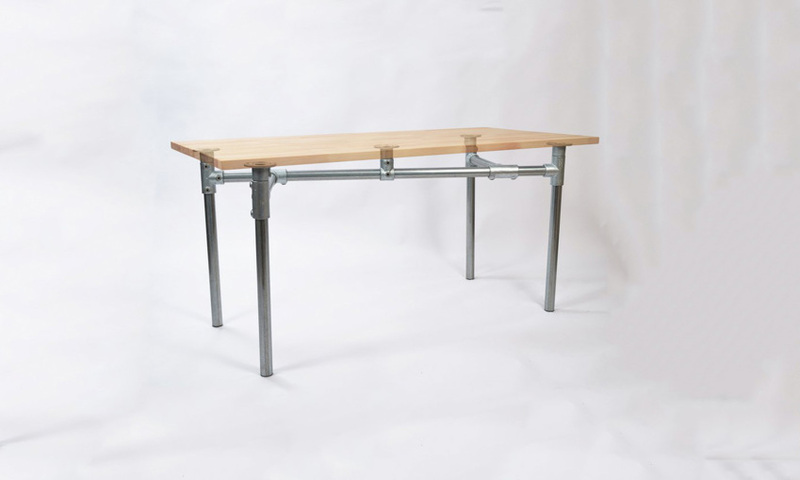 The K-Frame Desk kit has a sturdy and unique "K" shaped frame to give your workstation an urban industrial feel. 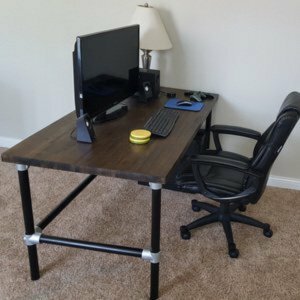 Complete your custom desk with the eye-catching K-Frame Desk. 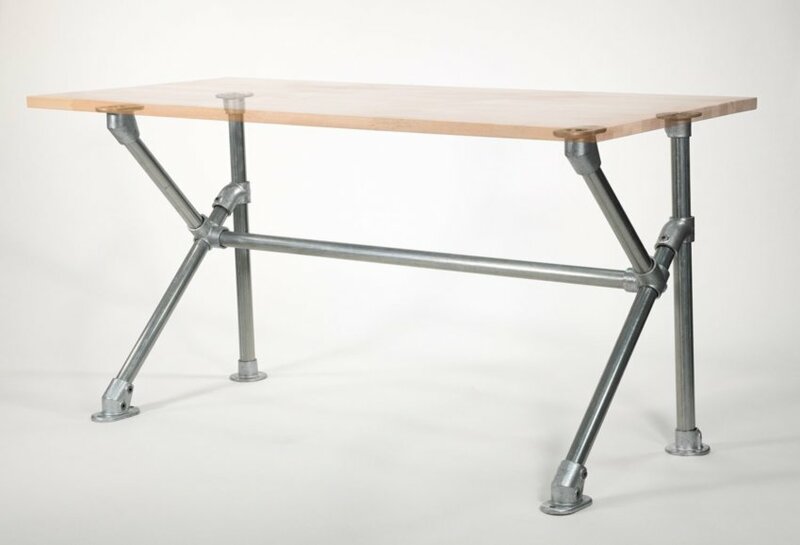 The BASIC kit has four legs and an 'H' frame that connects and stabilizes the legs. 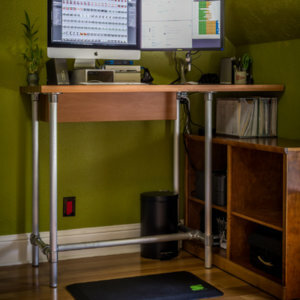 The footing can be a simple plug or a caster to create a rolling desk. 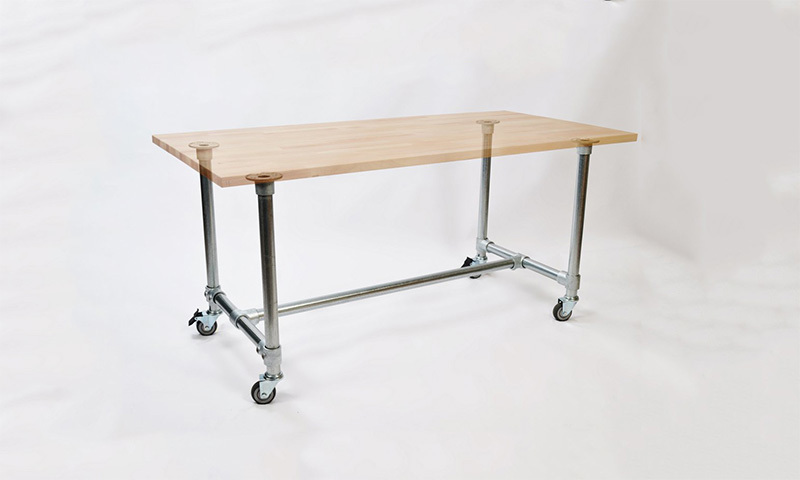 This kit is similar to the BASIC kit in it's simplicity, but with the added feature of being able to adjust the height of the desk. 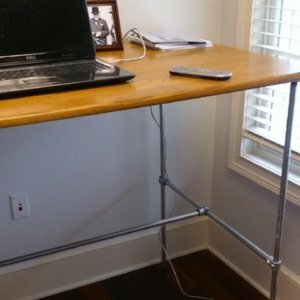 This is a great desk frame that can be used to create a sitting or standing desk. 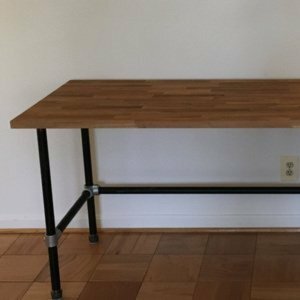 Modeled after the original 'Maker Table', this desk could literally support a ton of weight. 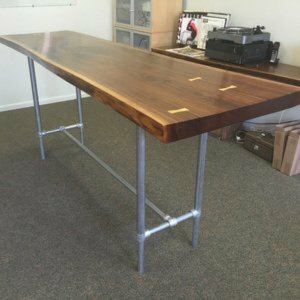 This desk is overbuilt to give it a rugged, industrial look. 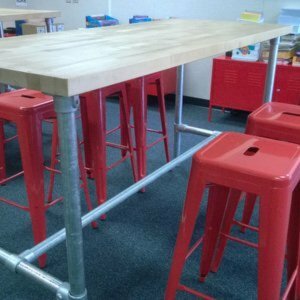 The Z-FRAME is great to use when you are looking for a unique look or need to support the middle of a large table top. 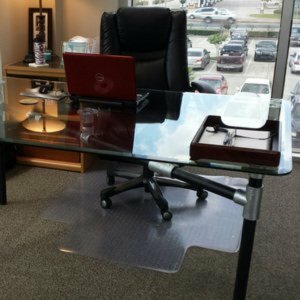 The middle support provides additional reinforcement to the table top This design is great to use with glass tops. 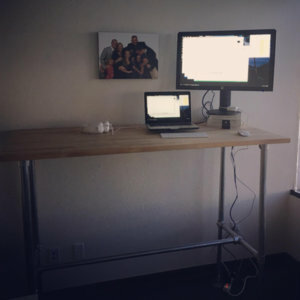 Why Use Our Pipe Frame Desks? 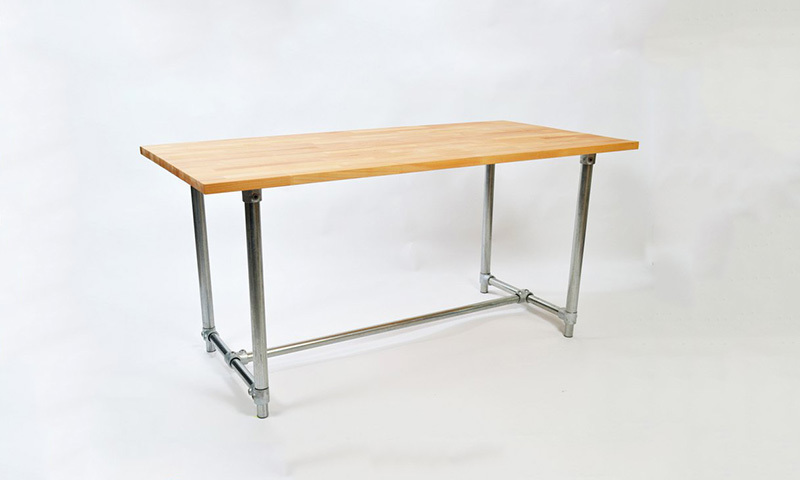 Our desks are made from industrial quality pipe and fittings. 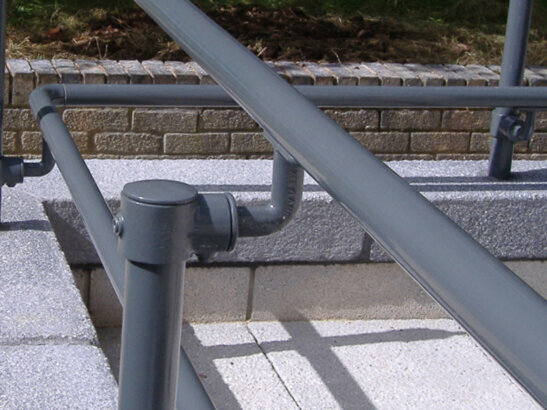 They are designed to last decades and stand up to the elements. 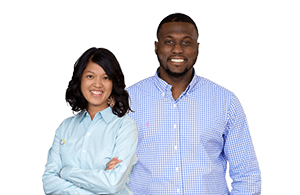 You'll have something you can use for a lifetime. The sleek, minimal design of a Simple Table pairs well with virtually any furniture. 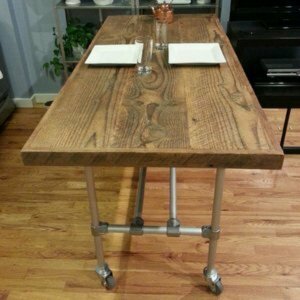 Add a light colored table top to fit a modern room or a rugged, dark top for a more classic look. 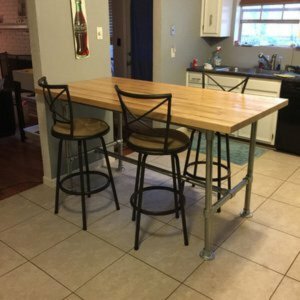 No complex directions or long list of tools is needed to assemble a Simple Table. 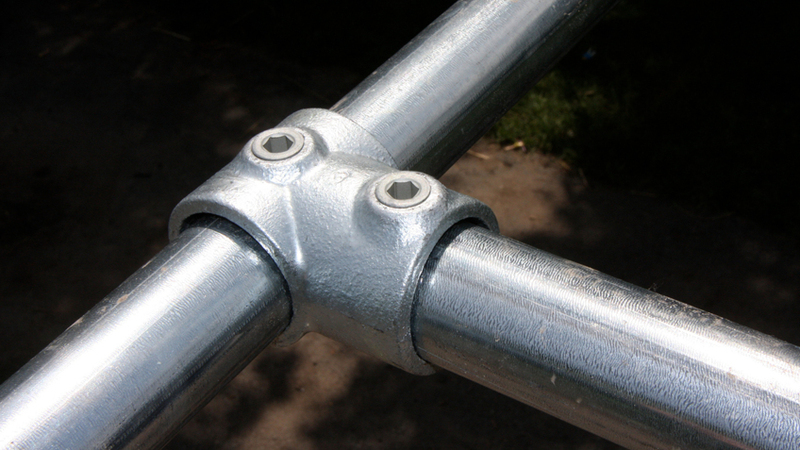 The entire frame can be assembled using a single allen key. 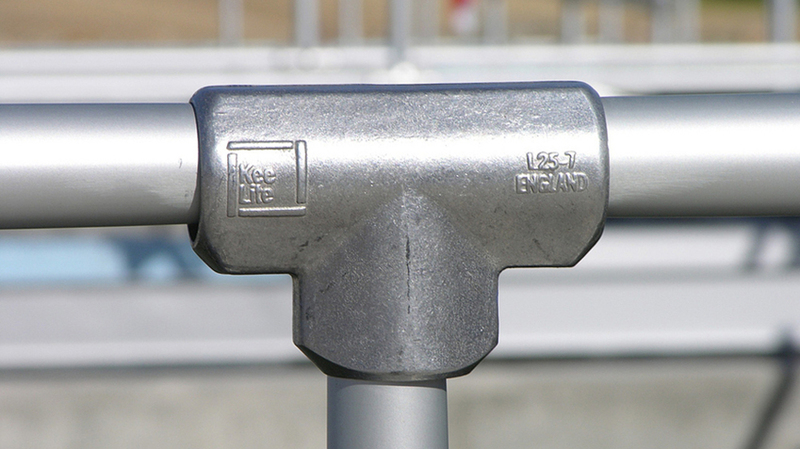 Because our kits use Kee Klamps, you can customize your desk to fit your exact needs. 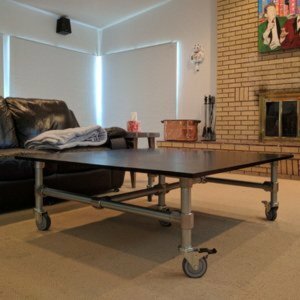 You can easily add a shelf, monitor stand, equipment rack, and more. The possibilities are only limited by your imagination.